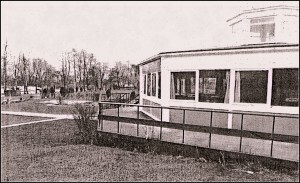 The restaurant, L’Octagone, featured in the York & District Advertiser, 11 April 1979. Do any of our readers have a good memory? 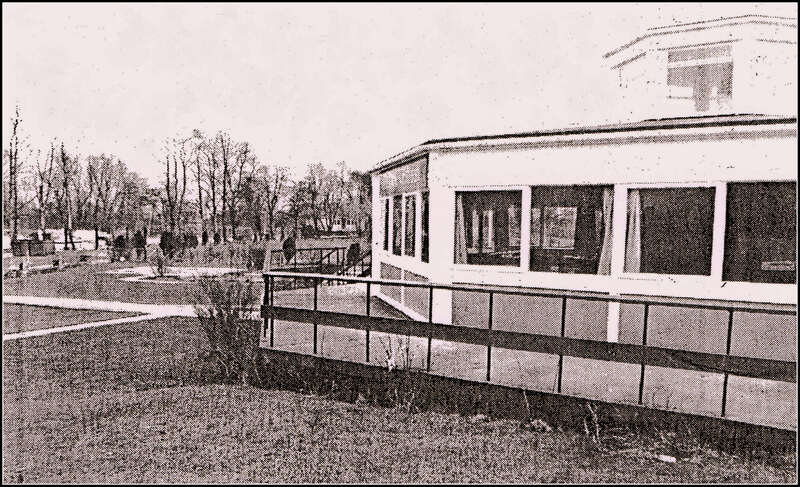 Can you remember the name of the Chinese restaurant which was once situated down by the river at Bishopthorpe? We’ve been contacted by Paul Woods who told us that regulars of The Oak at Copmanthorpe recently had a heated debate on the subject. Paul should remember the name because he celebrated his 21st birthday there! He took up the challenge to find the name and asked members of the Bishopthorpe Local History Group. Well we couldn’t remember either but knew that the octagon-shaped restaurant advertised in Link, the parish magazine. Searching back copies in the Archive, we found that, from the late 1970’s until 1982, it was called, appropriately, ‘L’Octagone’. There was a gap in the adverts from then until January 1989 when it took on the name, ‘Bishops’ – but we can’t find any reference to when it served Chinese food. The restaurant was demolished a few years ago. ← 2nd March – and Winter’s arrived! I think it spent some time as The Birdcage, but not sure if this was the Chinese period. Was it not called Bishop’s River? That name doesn’t ring any bells with me, Alan, but our webmaster thinks you’re right. Was it The Dragon? Certainly there were pictures of Chinese dragons among the dangling Chinese lanterns. When it was called The Birdcage it served Italian food and was run by Silvano – who now has premises in the city centre.